Is is possible to change the world so as to eliminate wars? Can art contribute to changing social and political situation? project by Krzysztof Wodiczko, one of whose postulates is to convert the Arc de Triomphe in Paris into a World Institute for The Abolition of Wars. 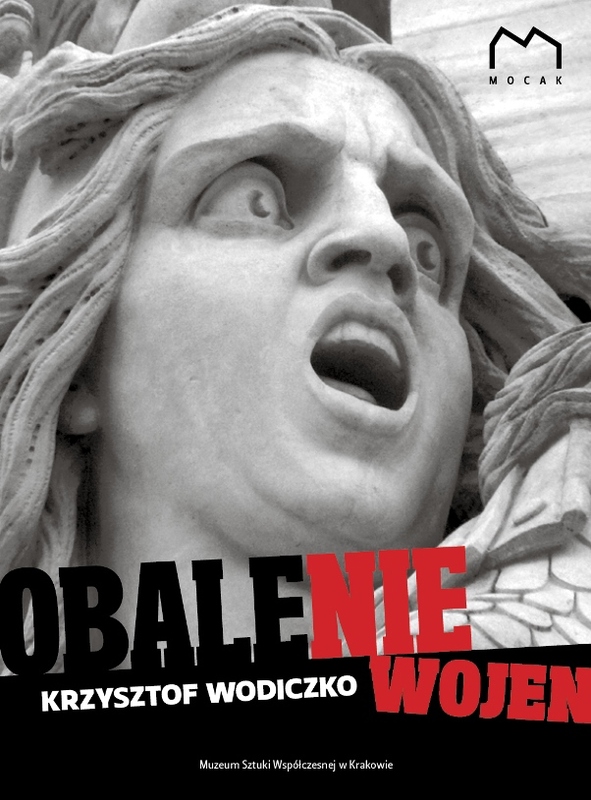 The book will be discussed by: the director of MOCAK Maria Anna Potocka, Adam Michnik, the author of the Foreword to the Polish edition and the photo-journalist Krzysztof Miller. The launch of the Polish edition will take place at the 17th Book Fair in Krakow on 26 October at 4 pm in the seminar hall no. 1, at ul. Centralna 41a, 31-586 Krakow. The artist is well-known for his interventionist media actions such as the animation of monuments with visitor participation and his performative equipment projects produced in co-operation with marginalised and alienated urban dwellers – whom they are intended to inspire and provide with the means of delivering an open message, communicating their voice and experience. Krzysztof Wodiczko has been awarded the Hiroshima Art Prize for his creative contribution to world peace. He is a professor of artistic projects and public property at the Graduate School of Design at Harvard University and is a visiting senior lecturer at the Warsaw Higher School of Social Psychology. Wodiczko’s books have been published for 50 years; recent ones amongst his numerous publications include The City of Refuge: A 9/11 Memorial and Krzysztof Wodiczko, published by Black Dog Publishing. He lives and works in New York City, Boston and Warsaw.